Extreame Savings Item! Save 47% on the Acer Nitro 5 Spin Screen Protector,HD Clear LCD Anti-Scratch Anti-Fingerprints Guard Film For 15.6'' Acer Nitro 5 Spin NP515-51 2-in-1 Laptop(2-pack) by Liudashun at Pacs BG. Hurry! Limited time offer. Offer valid only while supplies last. 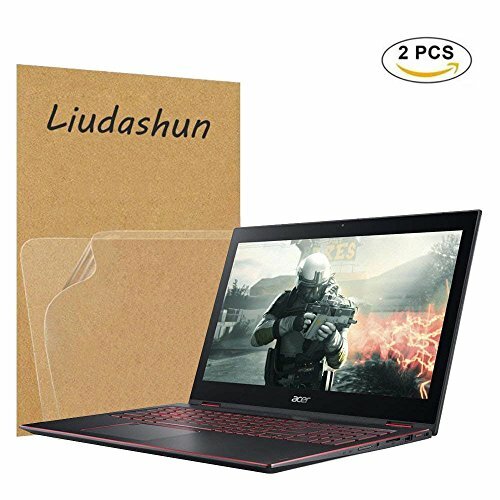 This protective film is specially made,Only suitable for Acer Nitro 5 Spin 2-in-1 15.6 inch Laptop(size:373.5*240,Such as Model: NP515-51-56DL / NP515-51-80XS / NP515-51-887W / NP515-51-58VP / NP515-51-85CS),Not compatible with other series or brands Laptop Screen Protector,please confirm your notebook model.